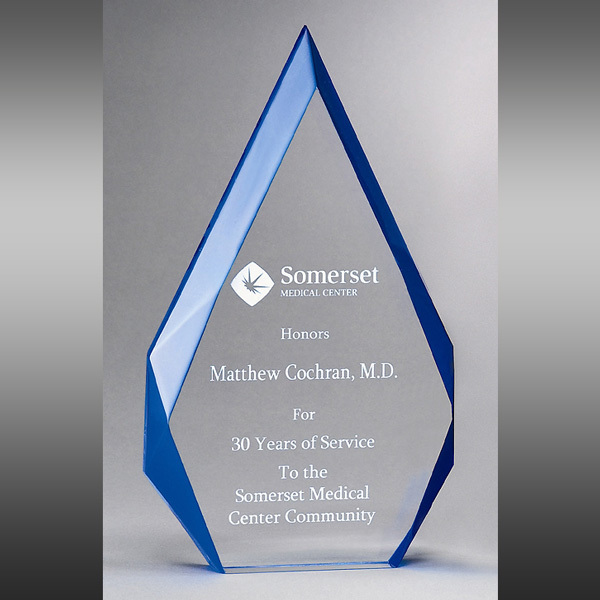 1" thick clear acrylic, free-standing award. These beveled flames are a worthy accolade to recognize successful achievement. 6 1/4" x 9 7/8"
This Desk Award - Acrylic Blue Flame 9 7/8" TP6750L is part of our Corporate Awards Series of products, check out other products & options available in our corporate service awards. This Desk Award - Acrylic Blue Flame 9 7/8" TP6750L can be modified to your requirements and is available for your service award programs.